We hope all of you plan to recycle your living Christmas trees this year. 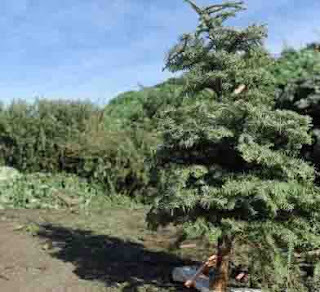 Many cities offer curbside Christmas tree collection during the two weeks following Christmas. Remove all ornaments, lights and tinsel, saw the tree in half and place the tree in your green materials recycling barrel. If you live in a city without curbside tree recycling, check with your waste collector for a drop off location. Agromin will be collecting about 70,000 trees from Ventura County this year. Drop your trees off at our 6859 Arnold Road location in Oxnard. We'll grind up the trees and use the much in home and business landscapes.